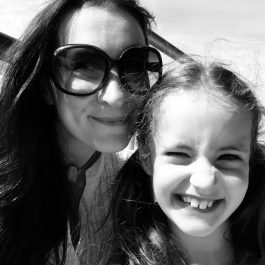 I’ve been itching to post this recipe for a few weeks now, but kept delaying it in favour of child-friendly summer holiday recipes. Well, I can’t hold back any longer as before we know it, strawberries will be out of season! 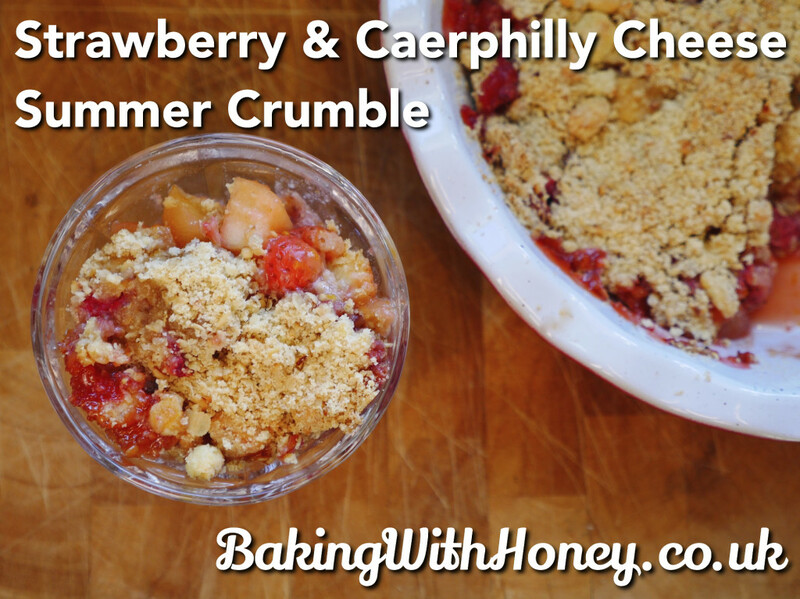 So here it is, my new favourite, easy-going summer pud. 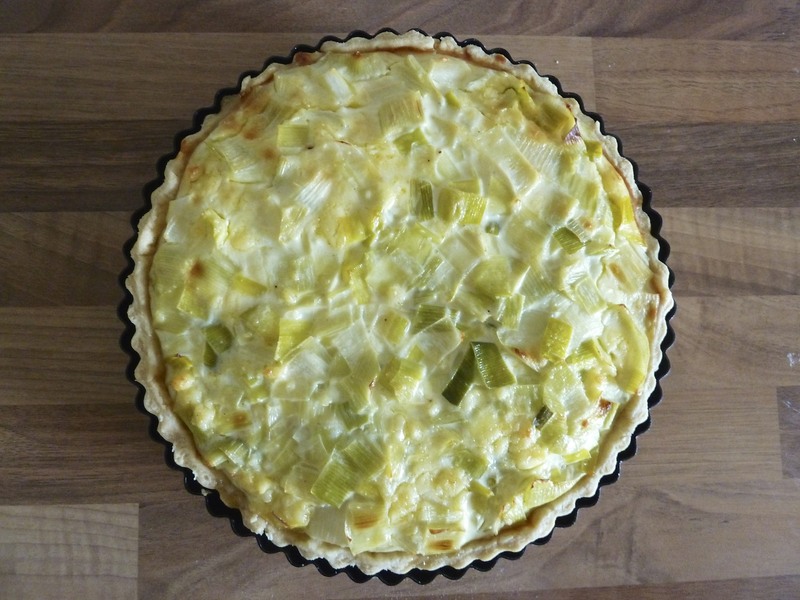 I love a crumble and I love Caerphilly cheese; I’ve already expressed my love of the ubiquitous Welsh favourite in last year’s Leek & Caerphilly Cheese Tart – and felt it was time to feature it in another recipe. We all know the right mix of fruit, cheese and nuts go together amazingly well. When Caerphilly and strawberries are combined with hazelnuts and a hint of ginger and orange zest… well, something quite magical happens. The strawberries are the star of the show here, but are quite fragile little things, hence the pairing with comparatively robust apple chunks. You could, if you wanted to, use rhubarb or pears instead of apple – it’s up to you; just keep the quantity roughly the same. 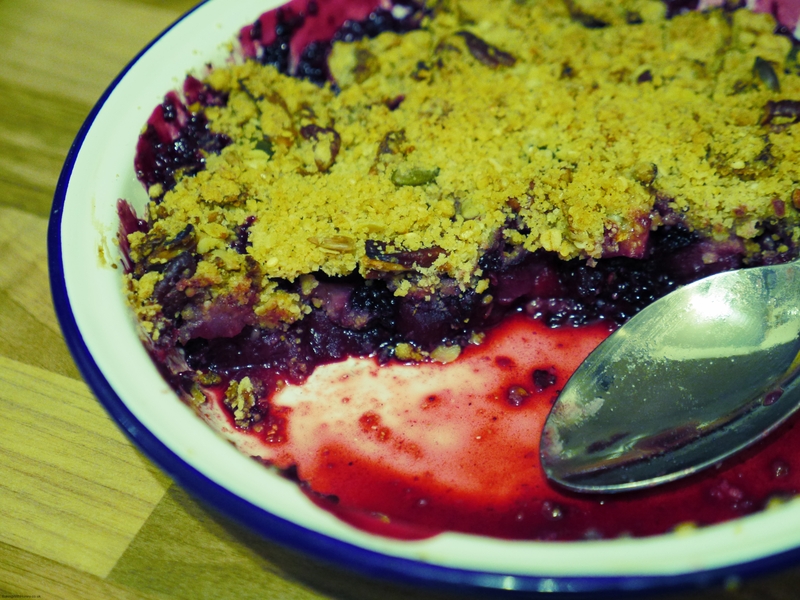 This crumble was made on a bit of a whim, but has instantly become my go-to, minimal-effort summer pudding. Give it a bash and let me know what you think! Just to let you know, Lancashire, Cheshire or any other crumbly, milky-white cheese is a safe bet if you can’t get hold of Caerphilly. Best served ever so slightly warmed, topped with cream or ice-cream. Serves 6. Use a deep pie dish (8″ or 9″ would be ideal). Preheat the oven to 200c/400f/gas mark 6. 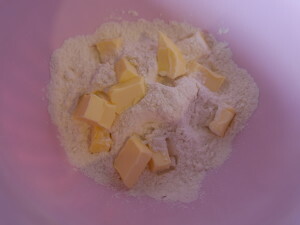 Using your fingertips, rub together the butter and flour until quite rubbly-looking. A few clumps of butter is a good thing! 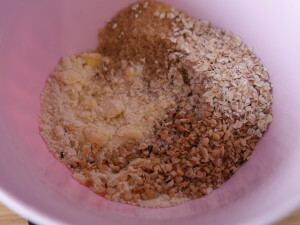 Then add the sugar, ginger, oats and hazelnuts. 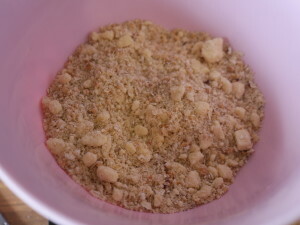 Stir until combined, then crumble in the cheese. Give it another stir and set aside. Wash and prepare your fruit. 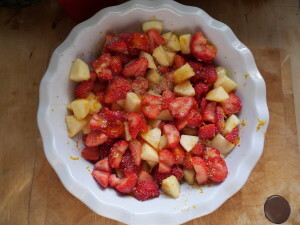 Then, roughly quarter the strawberries (or halve, if they are on the small side) and chop the apple into chunks. Place in your pie dish and sprinkle the orange zest, golden syrup and sugar all over. 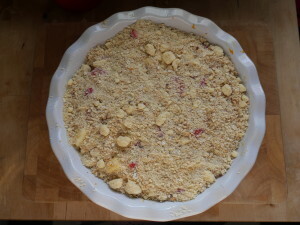 Spoon the crumble mixture all over, then lightly smooth it until all the fruit is covered. 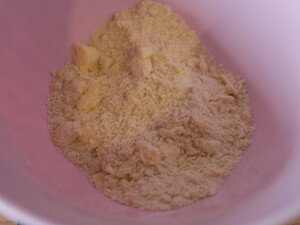 Don’t flatten it down too much – only a light patting down is necessary, and this helps to give a crunchy finish. 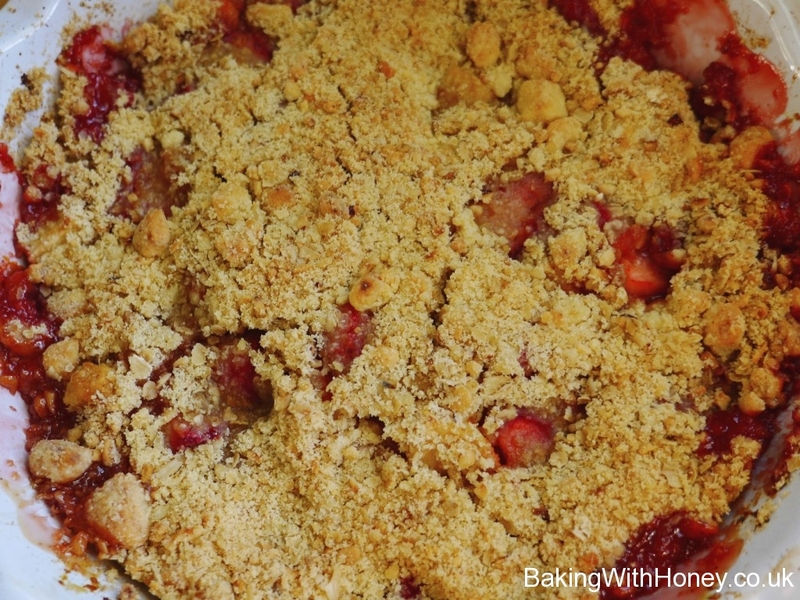 Bake in the centre of a preheated oven for 30-35 minutes or until the top is speckled golden brown and the juice from the strawberries starts bubbling at the sides. 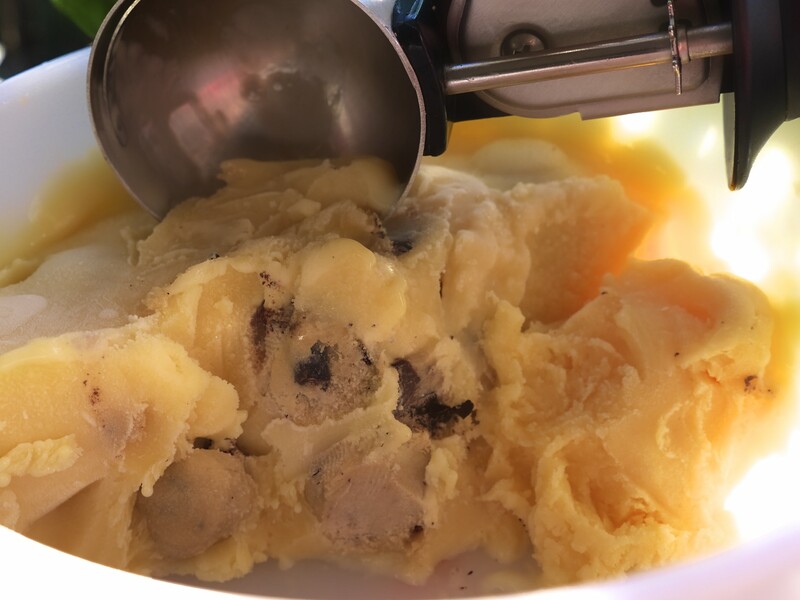 Cool for at least half an hour before serving with cream or ice cream.